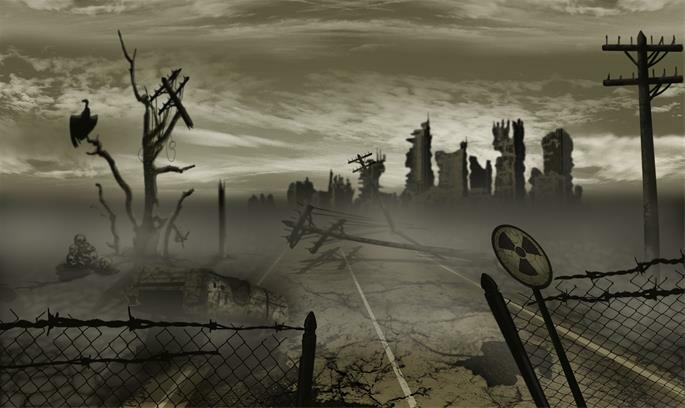 Does Judaism Believe in the Apocalypse? The word “apocalypse” (literally translated as “an uncovering”) historically referred to revelations and prophecies related to the ultimate destiny of humanity, what some would call “the end of days” (eschatology). However, the term is commonly used in reference to large-scale catastrophic events leading up to the doom of humanity and the end of the world as we know it. If, however, your question is about the apocalypse in the colloquial sense, then it is a bit more complicated. There is much discussion regarding the exact meaning of Rav Ketina’s statement. The third Lubavitcher Rebbe, known as the Tzemach Tzedek, points out that on the one hand there are Torah sources that state that the reward for our Divine service will be in the seventh millennium,10 while on the other hand, Rav Ketina states that the world will be desolate in the seventh millennium. How can both be true? He explains that when the Talmud compares those thousand years to Shabbat, it is explaining the nature of the “desolation.” The word “Shabbat” itself can mean either “rest” or “annulment”—and in this case it means both. May we merit the coming of Moshiach speedily in our days! 5. Yeshuot Meshicho, Iyun 1:1. 6. Rabbeinu Bechayei, Numbers 10:35. 7. Guide for the Perplexed 2:29. 8. Meiri, preface to Pirkei Avot. 9. Ibid. See also Tzemach Tzedek, additional comments to Tehillim 9–10 (Sefer HaLikkutim, s.v. charuv, p. 943). 10. See, for example, Tanya, Likkutei Amarim, ch. 36. 11. Tzemach Tzedek, Tehillim, pp. 631–632; Sefer HaLikkutim, s.v. charuv, pp. 944–945. 12. Tzemach Tzedek, Shir HaShirim 14; Sefer HaLikkutim, s.v. charuv, p. 949. Time management is more than management and larger than time. It is about life itself. God gives us one thing above all: life itself. And He gives it to us all on equal terms. However rich we are, there are still only 24 hours in a day, seven days in a week, and a span of years that, however long, is still all too short. Whoever we are, whatever we do, whatever gifts we have, the single most important fact about our life, on which all else depends, is how we spend our time. “The span of our life is 70 years, or if we are strong, 80 years,” says Psalm 90, and despite the massive reduction of premature deaths in the past century, the average life expectancy around the world, according to the most recent United Nations figures (2010-2015) is 71.5 years. So, concludes the Psalm, “Teach us to number our days that we may get a heart of wisdom,” reminding us that time management is not simply a productivity tool. It is, in fact, a spiritual exercise. Hence the following life-changing idea, which sounds simple, but isn’t. Do not rely exclusively on To Do lists. Use a diary. The most successful people schedule their most important tasks in their diary. They know that if it isn’t in there, it won’t get done. To Do lists are useful, but not sufficient. They remind us of what we have to do but not when. They fail to distinguish between what is important and what is merely urgent. They clutter the mind with trivia and distract us when we ought to be focusing on the things that matter most in the long run. Only a diary connects what with when. And what applies to individuals applies to communities and cultures as a whole. That is what the Jewish calendar is about. It is why chapter 23, in this week’s parsha, is so fundamental to the continued vitality of the Jewish people. It sets out a weekly, monthly and yearly schedule of sacred times. This is continued and extended in Parshat Behar to seven- and 50-year schedules. The Torah forces us to remember what contemporary culture regularly forgets: that our lives must have dedicated times when we focus on the things that give life a meaning. And because we are social animals, the most important times are the ones we share. The Jewish calendar is precisely that: a structure of shared time. We all need an identity, and every identity comes with a story. So we need a time when we remind ourselves of the story of where we came from and why we are who we are. That happens on Pesach, when we re-enact the founding moment of our people as they began their long walk to freedom. We need a moral code, an internalized satellite navigation system to guide us through the wilderness of time. That is what we celebrate on Shavuot when we relive the moment when our ancestors stood at Sinai, made their covenant with God, and heard Heaven declare the Ten Commandments. We need a regular reminder of the brevity of life itself, and hence the need to use time wisely. That is what we do on Rosh Hashanah as we stand before God in judgment and pray to be written in the Book of Life. We need a time when we confront our faults, apologize for the wrong we have done, make amends, resolve to change, and ask for forgiveness. That is the work of Yom Kippur. We need to remind ourselves that we are on a journey, that we are “strangers and sojourners” on earth, and that where we live is only a temporary dwelling. 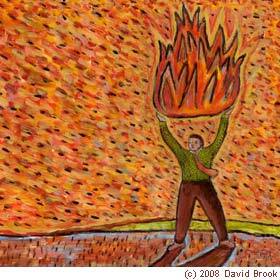 That is what we experience on Sukkot. And we need, from time to time, to step back from the ceaseless pressures of work and find the rest in which we can celebrate our blessings, renew our relationships, and recover the full vigor of body and mind. That is Shabbat. Doubtless, most people — at least, most reflective people — know that these things are important. But knowing is not enough. These are elements of a life that become real when we live them, not just when we know them. That is why they have to be in the diary, not just on a To Do list. It is the day itself that is making us sit here and talk about the peculiar incident six months ago when you lied and I blustered and you accused me of insincerity and I made you cry, an incident that neither of us can quite forget but that we can’t quite mention either and which has been slowly corroding the trust and love we once had for one another. It is the day that has given us the opportunity, indeed the responsibility, to stop talking of our usual business and to reopen a case we pretended to have put out of our minds. We are not satisfying ourselves, we are obeying the rules. Exactly so: we are obeying the rules. We are following the Jewish calendar, which takes many of the most important truths about our lives and, instead of putting them on a To Do list, writes them in the diary. What happens when you do not have that kind of diary? Contemporary Western secular society is a case-study in the consequences. People no longer tell the story of the nation. Hence national identities, especially in Europe, are almost a thing of the past — one reason for the return of the Far Right in countries like Austria, Holland and France. People no longer share a moral code, which is why students in universities seek to ban speakers with whose views they disagree. When there is no shared code, there can be no reasoned argument, only the use of force. Atonement and forgiveness have been driven out of public life, to be replaced by public shaming, courtesy of the social media. As for Shabbat, almost everywhere in the West the day of rest has been replaced by the sacred day of shopping, and rest itself replaced by the relentless tyranny of smartphones. Hence the life-changing magic of the Jewish calendar. Philosophy seeks timeless truths. Judaism, by contrast, takes truths and translates them into time in the form of sacred, shared moments when we experience the great truths by living them. So: whatever you want to achieve, write it in the diary or it will not happen. And live by the Jewish calendar if you want to experience, not just occasionally think about, the things that give life a meaning. For an excellent recent book about the way our behaviour is governed by time, see Daniel Pink, When: The Scientific Secrets of Perfect Timing, Riverhead Books, 2018. See Kevin Kruse, 15 Secrets Successful People Know about Time Management, 2017. Of course, Yom Kippur atones only for sins between us and God, not for those between us and our fellows. But it is a day when, traditionally, we seek to make amends for the latter also. Indeed most of the sins we confess in the long list, Al Cheit, are sins between humans and other humans. Alain De Botton, Religion for Atheists, Hamish Hamilton, 2012, 55 – 56. Roman Krznaric, Carpe Diem Regained, Unbound, 2017, 22. Leon Kass, Leading a Worthy Life: Finding Meaning in Modern Times, Encounter Books, 2018, 9. El Libro de Rut nos enseña sobre el gran potencial del ser humano y sobre los catastróficos resultados de utilizarlo de manera incorrecta. En Shavuot conmemoramos la revelación en el Sinaí, cuando Dios descendió sobre el Monte Sinaí y proclamó frente a la nación, “Yo soy Hashem, vuestro Dios”. En la sinagoga leemos el Libro de Rut, el cual relata la conmovedora historia de Rut la Moabita, quien dejó todo atrás para seguir a su suegra Naomi a la Tierra Santa, donde terminó convirtiéndose al judaísmo y transformándose en la bisabuela del Rey David. La relevancia que tiene el libro de Rut para Shavuot es suficientemente clara. Tal como nosotros aceptamos la Torá y la misión judía en el Monte Sinaí, asimismo Rut ingresó voluntariamente al pacto para volverse parte de aquella gloriosa misión. Pero hay una fascinante trama secundaria en la historia que tuvo grandes implicaciones en la historia judía. El Libro de Rut comienza con el relato sobre la hambruna que hubo en Tierra Santa. Elimelej de Beitlejem deja el país para dirigirse a Moab, llevando con él a su esposa Naomi y a sus dos hijos. Elimelej muere en Moab y su esposa y sus hijos se quedan allí. A continuación sus hijos se casan con mujeres no judías: con las princesas moabitas Rut y Orfa. Los hijos también mueren y finalmente Naomi decide regresar a Israel, viuda, sin hijos y empobrecida. Las nueras de Naomi, Rut y Orfa, la acompañan a lo largo del camino. Como se ve con claridad en el Talmud (Yevamot 47b), no lo hicieron como una mera cortesía, sino que ellas también querían entrar y residir en la tierra de Israel. A lo largo de sus años de matrimonio se apegaron al judaísmo. Querían convertirse por completo en judías, observar la fe y vivir en la tierra. Naomi intentó disuadirlas en tres ocasiones (versículos 1:8, 1:11 y 1:12; el Talmud deriva de aquí la cantidad de veces que debe ser disuadido un potencial converso). En dos ocasiones ellas se mantuvieron firmes; en la tercera, Orfa se debilitó y decidió regresar. Rut, sin embargo, se mantuvo fuerte. Continuó acompañando a su suegra rumbo hacia la Tierra Santa. Naturalmente, el Libro de Rut continúa relatando la historia de Naomi y Rut: cómo regresaron empobrecidas a Beitlejem, cómo Rut atrajo la atención del ilustre pariente de Naomi, Boaz, y cómo ella le señaló de manera poco convencional que se casaran y preservaran el linaje de Elimelej. Tan pronto como Orfa se apartó de la compañía de Naomi y Rut, se fue al extremo opuesto. Orfa, por otro lado, desaparece de la historia y es olvidada. Luego de una breve aparición, sale del escenario y presumiblemente ya no vuelve a desempeñar ningún papel en ella. Había sido una de tantos “casi” a lo largo de la historia: gente que luchó por alcanzar la grandeza y la inmortalidad, pero que no resistieron y, en lugar de eso, se desvanecieron en el anonimato. Pero nuestros sabios nos cuentan una fascinante secuela de la historia de Orfa: sus descendientes desempeñarían un importante papel en la historia judía… pero al otro lado de la calle. Uno pensaría que Orfa no era un personaje tan malo. Era una seria candidata para la conversión, y se tomaba con seriedad la religión y la espiritualidad. Simplemente no alcanzó a llegar a una conversión total. ¿Cómo es posible que una mujer con tanto potencial para alcanzar la grandeza haya llegado a un extremo tan desenfrenado? Hay un poderoso mensaje en esto. Orfa tenía el potencial para alcanzar la grandeza. Casi se desprendió de su pasado y de su tierra natal para unirse a una nueva religión. Estaba dispuesta a entregarse por completo por sus creencias, por seguir a Naomi a cualquier costo. Claramente tenía las semillas de grandeza en su interior. Pero no lo hizo. Se echó atrás. Y tomo ese mismo fervor y autosacrificio, y lo llevó al extremo opuesto. En lugar de transformarse en un gigante espiritual, se transformó en la madre de gigantes físicos. Lo que le ocurrió a Orfa es lo mismo que le ha ocurrido a muchas personas a lo largo de la historia. Si una persona tiene el potencial para alcanzar la grandeza (como todos nosotros) y no lo aprovecha, entonces puede tomar esa misma energía y utilizarla para el mal. Orfa casi alcanzó la grandeza. Pero no pudo aguantar. Y, frustrada con la religión, tomó los mismos poderosos impulsos de lograr cosas y los dirigió hacia el plano físico. En lugar de transformarse en un gigante espiritual, se transformó en la madre de gigantes físicos. El libro de II Shmuel 21:18-22 describe cómo eventualmente dio a luz a cuatro gigantes, todos los cuales fueron posteriormente asesinados por el Rey David y sus hombres. La némesis de Orfa era Rut, quien sí aguantó y quién sí transformó su potencial en una vida de grandeza. 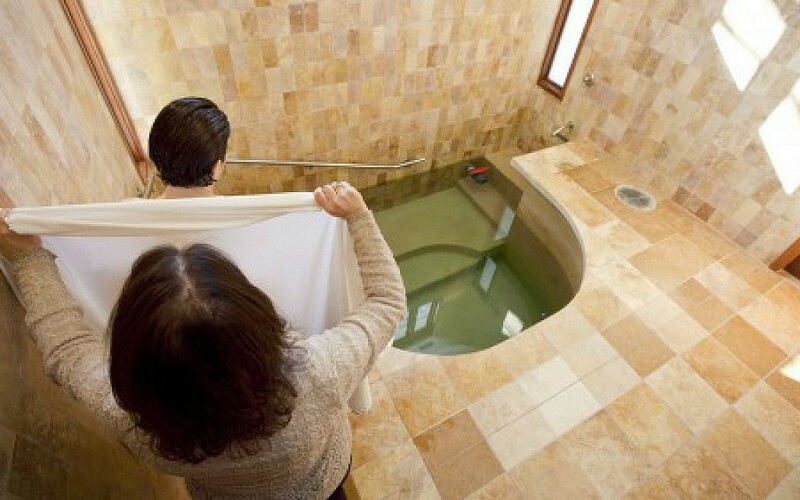 Rut se transformó en madre dentro del pueblo de Israel, bisabuela del gigante espiritual David. Y Goliat cayó ante David en batalla, en lo que era en esencia una batalla entre dos formas de ver el mundo, una batalla entre lo físico y lo espiritual. Como dice el Talmud (Sotá 42b): “El Santo, bendito sea, dijo: ‘Que los hijos de la besada (de Orfa, a quien Naomi besó como despedida) caigan en manos de los hijos de quien se aferró”. La historia de Rut y Orfa es por lo tanto una historia sobre el tremendo potencial de la humanidad, y de lo mucho que está en juego dependiendo de cómo se utilice dicho potencial. 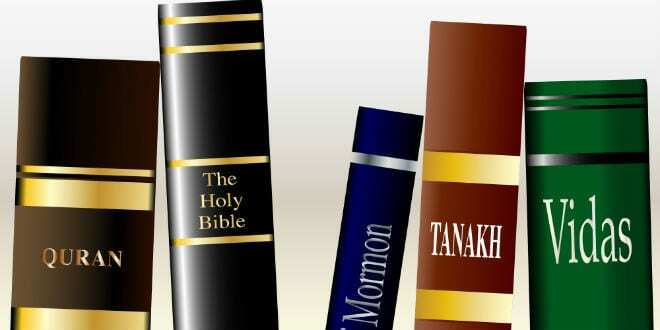 Esto también nos enseña una importante lección sobre la revelación en Sinaí, la cual celebramos en Shavuot. Los seres humanos tenemos un tremendo potencial para alcanzar la grandeza. Tenemos un impulso natural de transformarnos en personas importantes, de alcanzar la inmortalidad. Dios le dio la Torá a Israel para permitirnos dirigir dichos impulsos. Los mandamientos de la Torá no son simplemente actos que debemos realizar, o formas de ganarnos nuestra recompensa celestial, son medios para desarrollarnos a nosotros mismos, para dirigir nuestro impulso de lograr cosas hacia la espiritualidad y el perfeccionamiento del mundo. En Sinaí nos encontramos cara a cara con Dios, un Dios al que anhelábamos acercarnos. Y se nos ordenó apegarnos a Él, tratar de cerrar la brecha que hay entre el mundo físico y lo divino. El encuentro del Sinaí despertó en nosotros un enorme impulso por alcanzar espiritualidad e inmortalidad. Y desde entonces, los judíos no han sido capaces de quedarse sin hacer nada. Tenemos un impulso por lograr cosas, por sentirnos realizados, y por volvernos semejantes a Dios y eternos. Y con estas nobles metas frente nuestro, hay mucho que está en juego en la vida. Dios nos dio la Torá para que dirijamos nuestras energías hacia la divinidad y a lograr cosas significativas. Debemos tomar nuestros sentimientos y emociones más fuertes, y dirigirlos hacia Dios. Y si lo hacemos de forma apropiada, no habrá límite para lo que podemos lograr y para cuán significativa se volverá nuestra relación con Dios. Pero si no lo hacemos, sentiremos un impulso por cualquier otra causa imaginable: comunismo, anarquismo, liberalismo, capitalismo, lo-que-quieras-ismo. Luego de haber visto a Dios en el Monte Sinaí, nunca más podremos quedarnos sin hacer nada y mantenernos sin cambiar. Nos volvimos vivos, poseídos, y con un impulso por marcar una diferencia. Y la Torá nos enseñó cómo canalizar ese impulso. Parte de las ideas escritas anteriormente se encuentran basadas en pensamientos de Rav Mattis Weinberg. The opening chapter of Kedoshim contains two of the most powerful of all commands: to love your neighbour and to love the stranger. “Love your neighbour as yourself: I am the Lord” goes the first. “When a stranger comes to live in your land, do not mistreat him,” goes the second, and continues, “Treat the stranger the way you treat your native-born. Love him as yourself, for you were strangers in Egypt. I am the Lord your God (Lev. 19:33-34). The first is often called the “golden rule” and held to be universal to all cultures. This is a mistake. The golden rule is different. In its positive formulation it states, “Act toward others as you would wish them to act toward you,” or in its negative formulation, given by Hillel, “What is hateful to you, do not do to your neighbour.” These rules are not about love. They are about justice, or more precisely, what evolutionary psychologists call reciprocal altruism. The Torah does not say, “Be nice or kind to your neighbour, because you would wish him to be nice or kind to you.” It says, “Love your neighbour.” That is something different and far stronger. The second command is more radical still. Most people in most societies in most ages have feared, hated and often harmed the stranger. There is a word for this: xenophobia. How often have you heard the opposite word: xenophilia? My guess is, never. People don’t usually love strangers. That is why, almost always when the Torah states this command – which it does, according to the sages, 36 times ­– it adds an explanation: “because you were strangers in Egypt.” I know of no other nation that was born as a nation in slavery and exile. We know what it feels like to be a vulnerable minority. That is why love of the stranger is so central to Judaism and so marginal to most other systems of ethics. But here too, the Torah does not use the word “justice.” There is a command of justice toward strangers, but that is a different law: “You shall not wrong a stranger or oppress him” (Ex. 22:20). Here the Torah speaks not of justice but of love. These two commands define Judaism as a religion of love – not just of God (“with all your heart, with all your soul and with all your might”), but of humanity also. That was and is a world-changing idea. But what calls for deep reflection is where these commands appear. They do so in Parshat Kedoshim in what, to contemporary eyes, must seem one of the strangest passages in the Torah. 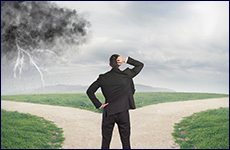 Leviticus 19 brings side-by-side laws of seemingly quite different kinds. Some belong to the moral life: don’t gossip, don’t hate, don’t take revenge, don’t bear a grudge. Some are about social justice: leave parts of the harvest for the poor; don’t pervert justice; don’t withhold wages; don’t use false weights and measures. Others have a different feel altogether: don’t crossbreed livestock; don’t plant a field with mixed seeds; don’t wear a garment of mixed wool and linen; don’t eat fruit of the first three years; don’t eat blood; don’t practice divination; don’t lacerate yourself. At first glance these laws have nothing to do with one another: some are about conscience, some about politics and economics, and others about purity and taboo. Clearly, though, the Torah is telling us otherwise. They do have something in common. They are all about order, limits, boundaries. They are telling us that reality has a certain underlying structure whose integrity must be honoured. If you hate or take revenge you destroy relationships. If you commit injustice, you undermine the trust on which society depends. If you fail to respect the integrity of nature (different seeds, species, and so on), you take the first step down a path that ends in environmental disaster. Why then is it specifically in this chapter that the two great commands – love of the neighbour and the stranger – appear? The answer is profound and very far from obvious. Because this is where love belongs – in an ordered universe. His point is more subtle than it sounds. A significant number of parents today, he says, fail to socialise their children. They indulge them. They do not teach them rules. There are, he argues, complex reasons for this. Some of it has to do with lack of attention. Parents are busy and don’t have time for the demanding task of teaching discipline. Some of it has to do with Jean-Jacques Rousseau’s influential but misleading idea that children are naturally good, and are made bad by society and its rules. So the best way to raise happy, creative children is to let them choose for themselves. Partly, though, he says it is because “modern parents are simply paralysed by the fear that they will no longer be liked, or even loved by their children if they chastise them for any reason.” They are afraid to damage their relationship by saying ‘No’. They fear the loss of their children’s love. Clear rules make for secure children and calm, rational parents. Clear principles of discipline and punishment balance mercy and justice so that social development and psychological maturity can be optimally promoted. 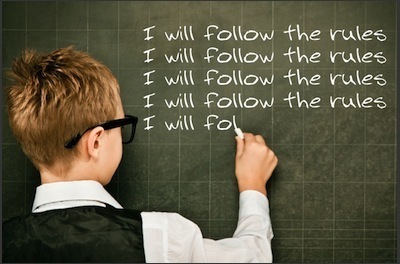 Clear rules and proper discipline help the child, and the family, and society, establish, maintain and expand order. That is all that protects us from chaos. That is what the opening chapter of Kedoshim is about: clear rules that create and sustain a social order. That is where real love – not the sentimental, self-deceiving substitute – belongs. Without order, love merely adds to the chaos. Misplaced love can lead to parental neglect, producing spoiled children with a sense of entitlement who are destined for an unhappy, unsuccessful, unfulfilled adult life. That is as acute an explanation as I have ever heard for the unique structure of Leviticus 19. Its combination of moral, political, economic and environmental laws is a supreme statement of a universe of (Divinely created) order of which we are the custodians. But the chapter is not just about order. It is about humanising that order through love – the love of neighbour and stranger. And when the Torah says, don’t hate, don’t take revenge and don’t bear a grudge, it is an uncanny anticipation of Peterson’s remarks about resentment, envy and the desire for vengeance and destruction. Hence the life-changing idea that we have forgotten for far too long: Love is not enough. Relationships need rules. Note that some read these two verses as referring specifically to a ger tzedek, that is, a convert to Judaism. That, however, is to miss the point of the command, which is: do not allow ethnic differences (that is, between a born Jew and a convert) to influence your emotions. Judaism must be race- and colour-blind. Had it existed in Europe, there would not have been a thousand years of persecution of the Jews, followed by the birth of racial antisemitism, followed by the Holocaust. Jordan Peterson, 12 Rules for Life: an antidote to chaos, Allen Lane, 2018. Some 600 recent converts to Orthodox Judaism are caught in the crossfire as the Israeli government drafts legislation aimed at outlawing the Orthodox rabbinical court — endorsed by High Court of Justice — that converted them. The converts, mostly children of immigrants from former Soviet Union countries, are among the 400,000 Israelis currently held in limbo in the Jewish state, categorized as having “no religion”; they cannot marry or be buried according to the faith of their fathers. According to a recent Haaretz report, a bill drafted by Moshe Nissim, a former justice, finance, and industry minister, would make conversion a uniform process under the auspices of a stringent state-authorized Orthodox body. This law would directly oppose a 2016 High Court ruling that decided that the conversions of private rabbinical courts should be officially recognized by the state. One of the “more troubling” clauses in the draft legislation also addresses how conversions may be revoked, according to a source close to the issue. It is still unclear whether this clause would be used against the hundreds of Israelis who have been converted in private Israeli Orthodox courts. 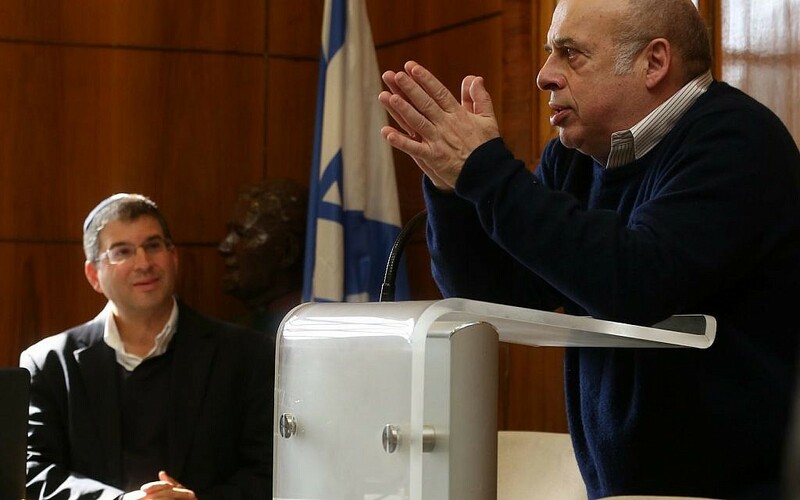 The language of the bill is not final and Nissim, who served as a member of Knesset on and off from 1959 to 1996, mostly for the Likud party, is continuing consultations with major Jewish thinkers, including Jewish Agency head Natan Sharansky, whom he is set to meet in the coming days. The law, one of several attempts to legislate conversion, comes on the heels of several High Court cases which have slowly broadened the state’s definition of who is a Jew — and therefore who is eligible to become an Israeli. 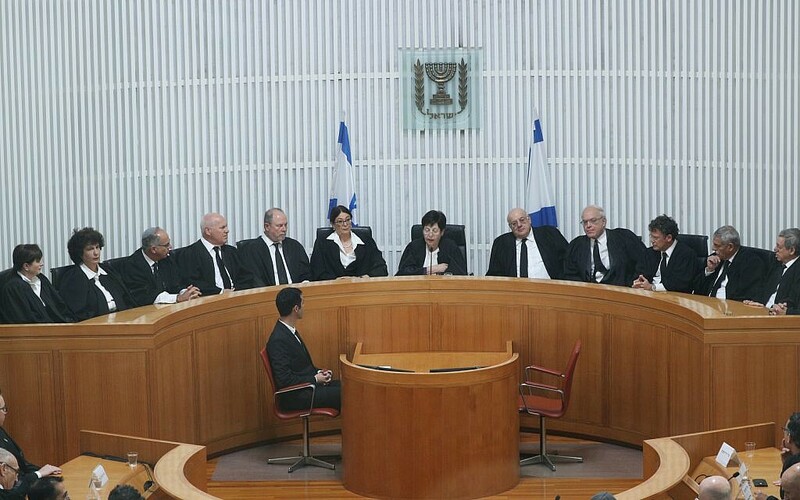 In March 2016, the High Court decided that non-Israelis who were converted in Israel by private, mostly ultra-Orthodox, rabbinical courts outside of the Israeli Chief Rabbinate could seek Israeli citizenship. 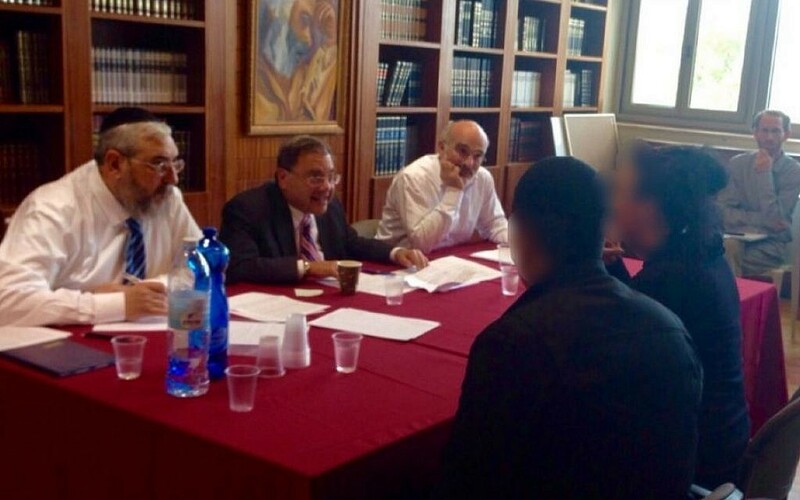 A full plenum of judges heard from the representatives of four defendants from three cases, one in 2006 and two in 2011, in a combined petition against the Interior Ministry, the population registry, the Conversion Authority (through the Prime Minister’s Office) and the immigration authority. Joining as respondents were Israel’s Reform and Masorti movements, and the World Union for Progressive Judaism. In then-court president Miriam Naor’s decision, she wrote that a broad reading of the 1950 Law of Return is essential for the State of Israel to maintain its Jewish and democratic natures. At least for secular civil purposes, she wrote, the Chief Rabbinate of Israel cannot be the only recognized auspices for conversion. “The people of Israel are indeed one people, but spread out in all the corners of the globe, and made up of many communities, with different shades and variations within those same communities. Therefore, the Law of Return reflects, in addition to the promotion of aliya, also the purpose of maintaining the unity of the Jewish people in the Diaspora and Israel,” wrote Naor. 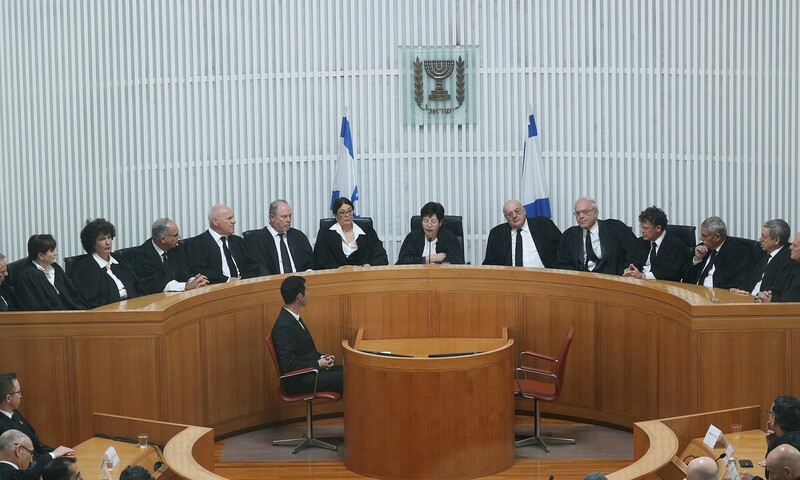 The court therefore decided that if the converting individuals were legally residing in Israel, their conversions are considered valid for consideration for citizenship under the Law of Return. The Law of Return stipulates that any individual who has at least one Jewish grandparent, or has converted in a recognized court outside the State of Israel, may apply for citizenship. The Law of Return does not, however, provide for such a citizen’s automatic recognition as Jewish by the Israeli Chief Rabbinate. Immediately following this landmark decision, the Orthodox parties in Prime Minister Benjamin Netanyahu’s coalition began renewed attempts at legislation and regulation of conversion through state auspices alone. In the wake of sensitivities following the freeze of the Western Wall pluralistic prayer platform compromise, Netanyahu shelved the conversion bill for six months and tasked Nissim with finding a palatable solution. 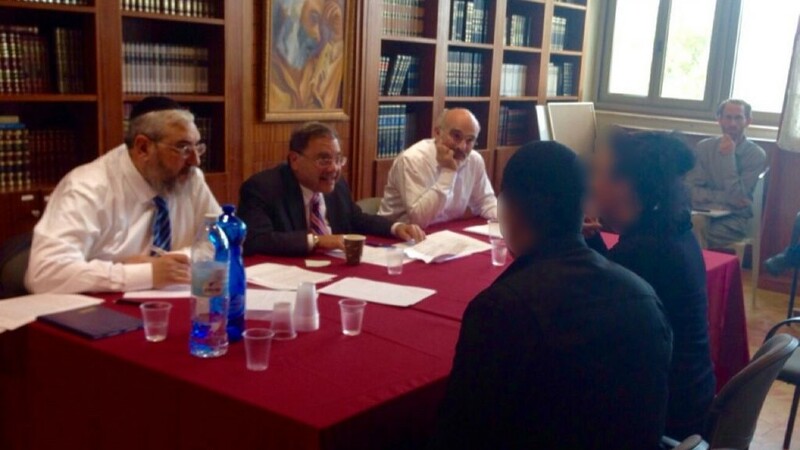 The March 2016 case is potentially landmark in that it paves the way for recognition of private conversion courts, as well as domestic Israeli conversion as a path to citizenship. However, its greatest significance is for the growing number of Israel’s 400,000 citizens who immigrated and became citizens under the Law of Return but are registered as having “no religion.” Now, they would have a choice of means to convert to Judaism. 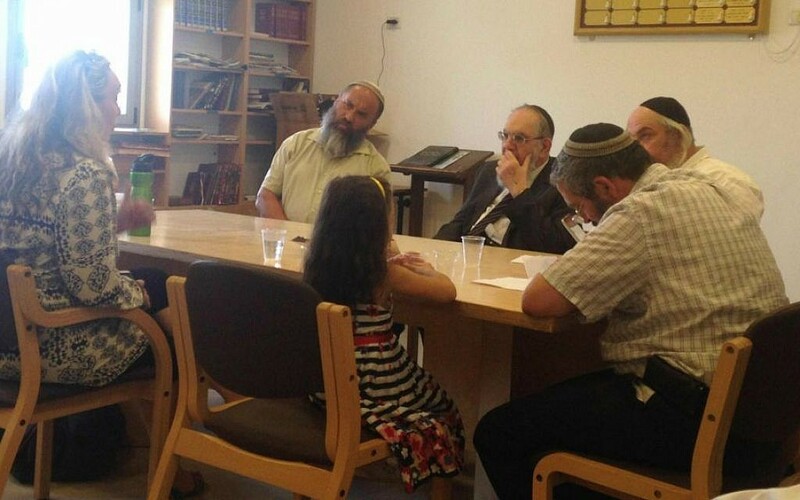 Increasingly feeling shut out of the state conversion program but still seeking an Orthodox conversion, over 600 of these Israelis have turned to a relatively new initiative called Giyur Kahalacha (a pun in Hebrew, meaning both “conversion as it should be” and “conversion according to Jewish Law”). 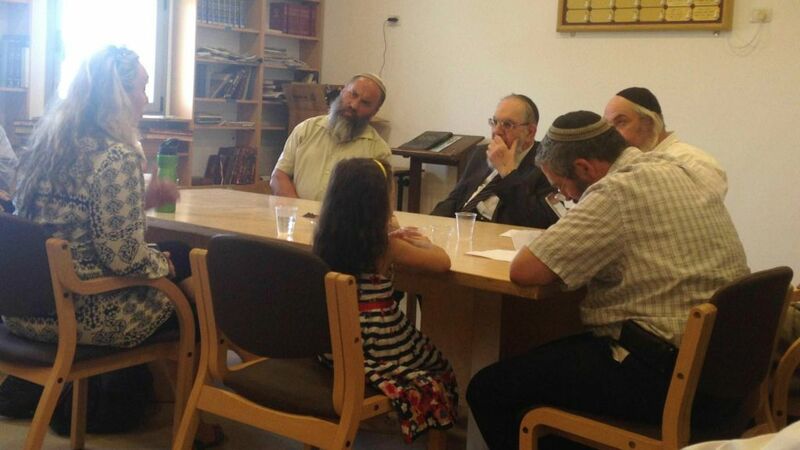 The state rabbinical courts annually convert some 2,000 people to Judaism. Giyur Kahalacha’s rabbinical courts, which follow the precepts of Jewish law, were founded by Farber along with many of Modern Orthodoxy’s biggest names — Efrat’s Rabbi Shlomo Riskin, Rabbi Nachum Rabinovitch from Ma’ale Adumim, Rabbi Haim Amsalem, Otniel’s Rabbi Re’em HaCohen, head of the Tzohar rabbinical movement Rabbi David Stav and Prof. Benjamin Ish-Shalom, the founder of the Israel Defense Force’s Nativ conversion program, which now has an annual cohort of some 850 converts. Farber explained: “Israeli citizens with ‘no religion’ are unable to marry in state-recognized Jewish weddings (the Chief Rabbinate has exclusive legal authority over Jewish marriages in Israel), and their children will be unable to prove their Jewishness or to marry as Jews in Israel. The conversions of these citizens with “no religion” through Giyur Kahalacha would not, however, be recognized for purposes of Jewish status by the rabbinate, which overseas all life cycle events, including marriage, divorce and burial. Therefore, even if a private court’s convert may register as Jewish in the Interior Ministry and even become a citizen of the State of Israel, he still would not be considered Jewish by the rabbinate. Farber believes that were Giyur Kahalacha to be given state recognition as an Orthodox religious provider, the initiative would be able to serve thousands of such “no religion” cases a year. However, the new bill, said Farber on Monday, is blatantly seeking to undermine the Giyur Kahalacha conversions. Since 1989, conversions performed outside the State of Israel by any Jewish denomination are considered legal grounds for citizenship under the Law of Return. Since 2005, however, the High Court had pushed off ruling on the status of domestic Israeli conversions for citizenship under the Law of Return — until the March 2016 decision. 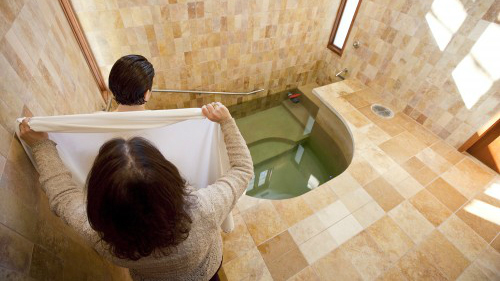 Has the ruling opened hypothetical doors to non-Orthodox conversions as well? That’s the question the government is attempting to circumvent with the new Nissim draft legislation. After overseas Reform conversions were recognized in 1989, the 1990s saw a sharp uptick of cases of Israelis who requested civil recognition after being taught in the Israeli Reform movement followed by a “quickie conversions” abroad. By 2002, the High Court decided that regardless of where the Reform conversion took place — in Israel or abroad — the Interior Ministry must register the convert as Jewish for purposes of the population registry. But the decision on citizenship is yet to come. “That’s the issue that awaits a ruling,” said Rabbi Uri Regev, the head of Hiddush, a non-denominational, non-partisan nonprofit, which works alongside world Jewry towards religious freedom in Israel. “Everyone is quite confident that the court will rule in favor of the non-Orthodox converts, based on the ruling that was rendered on the private Haredi conversion,” Regev, who is an ordained Reform rabbi as well as a lawyer, told The Times of Israel on Monday. Regev believes that the legislation equally targets Farber’s Giyur Kahalacha and Progressive Jewry. “With the irony that for the Chief Rabbinate and their puppet masters there is little difference between the two. But they will be careful to maintain that it will not bar recognition for civil purposes of conversions done overseas, trying to block opposition from America,” said Regev. For Regev, this unusual convergence of interests between liberal Jewry and Modern Orthodoxy could lead to a more unified front. “The recommendations regarding the appointment of an exclusive conversion authority to approve conversions in Israel were expected, but unlike the previous rounds of ‘Who is a Jew’ battles throughout Israel’s history, this time the move is directed not only against the non-Orthodox denominations, but also against Modern Orthodoxy. Therefore the intensity of the explosion will be greater than ever,” said Regev. 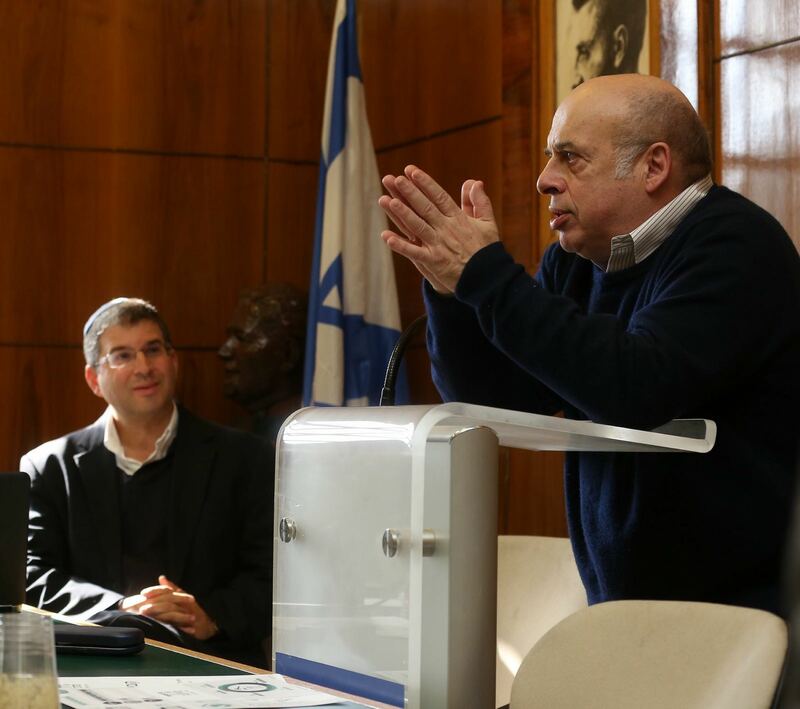 Perhaps to mitigate fallout from the Diaspora, Nissim is set to meet with Sharansky of the Jewish Agency to discuss the bill, one of several such meetings the two have held. One positive aspect of the bill, said Farber, is that it legislates the Right of Return for Progressive Jewry’s converts — something that is currently only enshrined through a High Court decision. “It would anchor that in the law — which is a step forward for the world Jewish community,” said Farber. – The Zohar, Kedoshim, 7-8. Kabbalists are adding to the celebration of Israel’s 70 years of Statehood an additional reason to celebrate: that in the State of Israel, a major spiritual resurgence is starting to take shape after 2,000 years of spiritual exile. Darkness and light, descents and ascents, exile and glory, are all characteristic of the people of Israel, ancient and modern. We have enjoyed states of blossoming unity and brotherly love at the time of the First and Second Temples. We have endured states of bitter defeat, where unfounded hatred breached our unity, allowing the Roman Empire to take advantage of our disunity and bring about the ruin of the Temple. In exile, even while detached and dispersed around the world, we found ways to prosper and develop the countries we settled in, making our mark in education, economics, science, technology, law, and society. However, while doing so, since there is a seeded expectation in humanity’s subconscious upon the people of Israel to bring a completely different kind of prosperity and growth than the materialistic version we’ve brought till now, then we’ve been plagued with the constant phenomenon of anti-Semitism: from slander and blood libel to the devastating pogroms and the Holocaust. After the utter horror millions of our ancestors experienced in the Holocaust, the world had mercy on us and supported the establishment of our new national home: the State of Israel. However, not even a single day passed of relishing our independence, and we were once again at war to hold onto what we were given. 70 years have passed. Wars and instability with our every neighboring nation have spurred our development of a well-equipped army and what has been ranked as the world’s mightiest air force. Struggles to build infrastructure and develop exports on a land that provides little natural resources has catalyzed our becoming one of the most technologically advanced nations. As with a fruit’s development, our external skin has been getting tougher, yet the sweet inner part is still hidden within. The time has come to learn how we can peel off this skin and expose the sweet, inner part of Israel to the world. The annual shift from Yom HaZikaron, the day we pay homage to Israel’s fallen soldiers and victims of terrorism, to Independence Day, when we celebrate the establishment of the State of Israel, is symbolic of the way we can only experience a rise after a preceding fall. The people of Israel experience darkness and light adjacently, and we gain discernments from these combined states. Our remembrance and our independence are as one, in the morning we mourn and in the evening we cheer. “And there was evening and there was morning, one day” (Genesis 1:5). ¿Qué opina el judaísmo del martirio? ¿Los judíos tienen mártires? Sé que hay religiones en las cuales es muy apreciado morir por su fe, y esto lo hace un santo o le consigue la entrada al paraíso. ¿Cuál es la visión judía? ¿Se supone que una persona deba morir por su fe? Los judíos nunca buscamos el martirio – el martirio nos encontró antes. Desde que Abraham fue lanzado en un horno ardiente por Nimrod, millones de judíos en cada era de la historia han dado la vida por su fe en la mano de los asirios, persas, griegos, romanos, musulmanes, bizantinos, cruzados, de la Inquisición, bolcheviques, nazis y muchos más. El Talmud nos cuenta cómo Rabi Akiva, fue arrestado por el crimen de enseñar Torá en público, gritó Shema Israel (“Oye Israel Di-s, nuestro Di-s es Uno”) mientras su piel era arrancada de su cuerpo por los verdugos romanos. Rabbi Akiva no esperó que el martirio le llegara, sino que se escapó y ocultó de sus perseguidores romanos mientras podía. De la misma forma, los judíos a lo largo de toda la Diáspora utilizaron todos los medios posibles para sobrevivir en las tierras de su exilio. Encontramos una paradoja. Ésta es una de las cosas que ocurren con los judíos y el judaísmo: no hay nada sobre nosotros que podamos definir de forma unánime. Por cada reflexión hacia un lado, encontrarás otra que diga lo contrario. Lo mismo ocurre con el martirio. Puede decirse que el martirio es el tema principal y al mismo tiempo la antítesis del judaísmo. Comencemos con la historia bíblica de los dos hijos de Aaron, Nadav y Avihu. Cuando los hijos de Israel habían terminado de erigir el santuario portátil para Di-s llamado el mishkan, y el fuego vino del cielo a consumir las ofrendas en el altar, Nadav y Avihu estaban tan inspirados que rompieron el protocolo, entraron en el compartimiento interno del Mishkan y quemaron allí incienso “que no fueron ordenados”. Una vez más fuego descendió del cielo, esta vez tomando sus almas y dejando sus cuerpos perfectamente intactos. Es verdad que, Nadav y Avihu sabían en lo que se metían. Como el Or HaJaim explica7, anhelaron la unión mística con la luz infinita y la consiguieron. ¿Pero cómo puede ser que el santuario de Di-s requiera la “santificación” con la muerte de sus amados? Él olió en las ofrendas de Noe la fragancia de Abraham nuestro padre que se levantaba del horno ardiente, la fragancia de Hananiah, Mishael y Azariah levantándose del horno ardiente… la fragancia de los mártires de la era de conversiones forzadas…12. Nuevamente vemos la contradicción: Di-s está haciendo votos de mantener al mundo. Como dice Isaías, “él no lo creó para que este desolado, 13 Pero solo está dispuesto a sostener este mundo porque contendrá a quienes den sus vidas por él. En mis años formativos, uno de mis mentores era un anarquista. Su nombre era Bill, un hombre larguirucho, altamente articulado en sus 50 quien fue profesor en varias importantes universidades en el pasado. Pero ahora las repercusiones de sus actividades políticas lo habían forzado a conformarse con enseñar en un secundario privado. Bill me presentó a sus amigos que habían luchado como anarquistas en la guerra civil española. Yo solo tenía quince, pero organicé un grupo de discusión anarquista para la Universidad Gratuita de Vancouver. Fue el grupo mejor organizado y más duradero de esta universidad. Tengo viva en mi memoria la reunión que llevamos a cabo en el salón de la JCC (Centro Comunitario Judío por sus siglas en ingles) de Vancouver. La política radical estaba de moda en 1971 y los sofás que alineaban las paredes quedaron abarrotados con oyentes de todas clases. Mi mentor anarquista habló, reviviendo las palabras de Proudhon, Kropotkin y Murray Bookchin, relacionándolos con la comuna y el movimiento colectivo que se estaba difundiendo a través de la región de British Colombia. El gobierno central era una afrenta a la dignidad del ser humano. El instinto natural del hombre es cooperar, hacer las paces, y los gobiernos son responsables de la guerra y la devastación. Deseo poder creer estas palabras hoy como lo hice en mi inocente juventud. Entonces, mientras todos estábamos fascinados e inspirados, él lanzó una simple pregunta a la audiencia. ¿”Cuánta gente aquí está dispuesta a morir por la causa del anarquismo?” preguntó. ¿Morir? ¿Por una Causa? La gente parpadeo y se miró unos a los otros como si alguien acabara de contar una broma pesada. Era una charla interesante. Ideas frescas. Quizá algunos iríamos por unos meses a una comuna en el Lago Arrow. Pero… epa, ¿morir por una causa? Bill hablaba sobre algo que el pueblo judío sostuvo durante miles de años: Nuestra existencia se mantiene por nuestra predisposición al autosacrificio. Traducción: Si los judíos dejan de arriesgar sus vidas por la Torá, dejaran de existir como pueblo. El mismo concepto podemos utilizar para la situación global actual: Si el terror logra disuadir a la gente, refrenándolos de reconstruir lo que el terror destruyó, impidiéndoles volver a la vida cotidiana donde el terror ha traído muerte, han sacrificado la fe en la humanidad en su totalidad. La vida humana en este planeta se mantiene por quienes no temen morir por él. Di-s está en todas partes, más allá de todas las cosas, pero él quiere que su esencia misma fuese encontrada dentro del tiempo y espacio, comenzando con ese lugar que construimos para él. No es otro lugar para ver milagros, no es un lugar para comunicarse con él— sino un lugar para unirse, para ser uno con él, con su esencia. Pero para hacer eso, Él necesita un socio que trabaje desde adentro. No solo alguien que siga las instrucciones, sino alguien que realmente crea en todo esto, alguien que experimente la idea como propia, dispuesto a entregar todo por ella, incluso haciendo algo que no era ordenado, entregando todo—incluso la vida misma— solo para encontrar la unicidad con Di-s. Con los dos hijos de Aaron, y mientras que vinieron a Él, Él entró a su Mishkan16. Ahora llevemos esto al mundo en general. En última instancia, el mundo entero es considerado el Templo de Di-s. Él lo creó como un lugar en el cual podría revelar su misma esencia, en todas las cosas, en cada alma. 1. Talmud Baba Batra 10b. 4. Ver Tania, Capitulo 25, donde declara que la llave para el cumplimiento de todas la mitzvot es el reconocimiento por parte del Judío que prefiere entregar su vida antes de estar separado de Di-s..
6. Rashi ad loc; Levitico Rabba ad loc; Talmud Zevajim 115b. 9. Midrash Tanjuma, Numeros 16. 10. Fuentes de noticias reportaron que cuando los miembros de Zaka (equipo de rescate y recuperación de cuerpos) entraron al Beit Jabad de Mumbai después de la masacre, encontraron balas en el Arca de la Torá. Al abrir la Torá descubrieron que el rollo recibió un impacto justo debajo del versículo: “Di-s hablo a Moshe después del fallecimiento de los hijos de Aaron que se acercaron a Di-s y murieron.” (Levítico 16:1) Muchas fotos fueron publicadas de este suceso incluso el Rabino Eliashiv examinó este rollo de Torá. 16. Ver Likutei Sijot volumen 27, pp. 116. 17. Ver Maamar de Parshat Noaj, 5740.